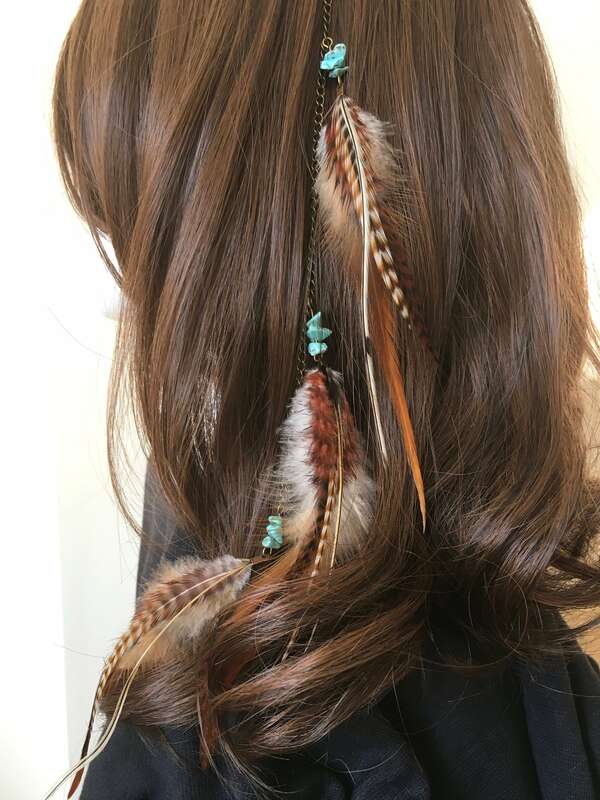 This clip in feather extension feather 3 groups of warm natural colored feathers on an antique brass chain with turquoise chip details. Feathers are hand selected with care and cut to create nice layers and a nice flow. 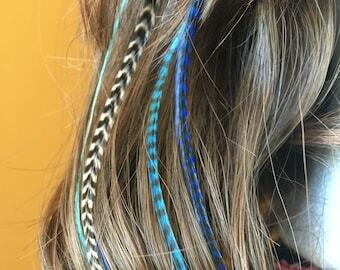 I choose feathers that layer nicely together and create a nice flow in your hair. Each design is made to order and will be unique and special. Since each feather is unique, you can expect slight differences but I always try to remain faithful to the original design. Length: 12" long, but can be shortened or made longer, just leave a note a checkout. *Clip can be shorter than your actual hair length or longer, it depends on the look you are going for. Most people want the end of the last feather to match with the end of their hair. 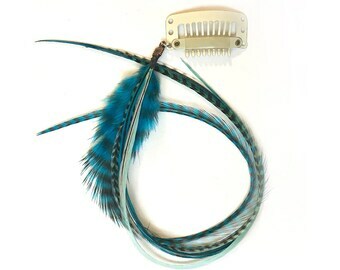 Materials: Antique brass light cable chain, weft clip in color of your choice and feathers that are sourced from North America.